Delhi High Court has directed the Delhi Government bodies to issue advisories within 3 days through various modes to make the public aware of the fatal effects of use of razor sharp thread/manja made of nylon/plastic/synthetic using glass/metal and/or other toxic materials. The Division Bench of Chief Justice G.Rohini and Justice Sangita D Sehgal was hearing public interest litigation seeking issuance of directions to Ministry of Environment, Government of NCT of Delhi-Respondent to take steps under the provisions of Environment (Protection) Act, 1986 and other relevant Acts to prohibit the manufacture, use, sale and purchase of synthetic manja/nylon kite thread and all similar synthetic threads used in kite flying and to enforce the prohibition throughout Delhi. The contention of the Petitioner was that the thread used for flying of kites which is made of nylon or synthetic material and other toxic materials, often referred to as “Chinese manja” though it has nothing to do with China, being razor sharp is very dangerous and is capable of causing severe injuries to birds and humans. 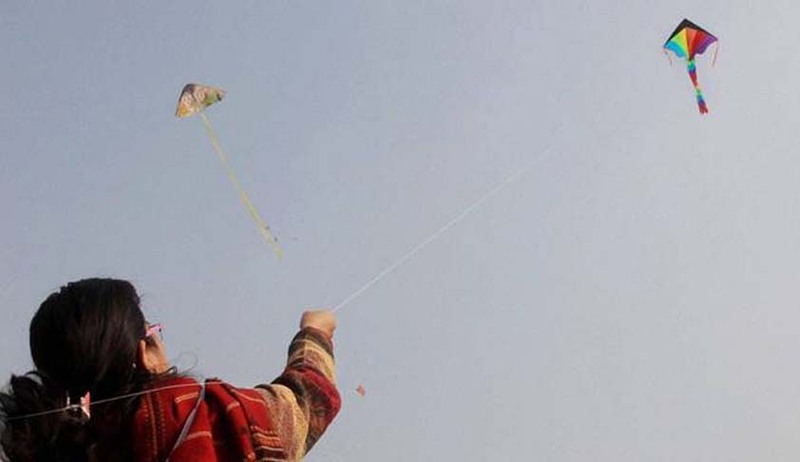 Citing few recent incidents petitioner contended that the „Chinese manja‟ should be immediately banned as the kite flying is prominent in Delhi not only during festivals but throughout the year whereas it is at peak during the festive season of Makar Sankranti‟, Raksha Bandhan‟ and „Independence Day‟. The Government of NCT of Delhi submitted that it is in the process of issuing a Notification in relation to imposing a complete ban on sale, production, storage, supply and use of nylon, plastic and Chinese manja and other kite-flying thread that is sharp or made sharp such as being laced with glass, metal or other sharp objects in National Capital Territory of Delhi and that a proposed draft notification is ready and the same has been forwarded to the Law Department, Government of NCT of Delhi for vetting. However, it is suggested by Mr. Rahul Mehra, Standing Counsel for Government of NCT of Delhi that since the notification cannot be issued immediately, advisories may be issued to the general public by the local governing bodies as well as the Delhi Police to create awareness at large that the use of synthetic manja/nylon kite thread and all similar synthetic threads used for kite flying can prove fatal to human life as well as other living creatures. (i) Office of the Divisional Commissioners/ Directorate of Information & Publicity and all the Municipal Corporations shall issue advisories within 3 days from today through various modes to make the public aware of the fatal effects of use of razor sharp thread/manja made of nylon/plastic/synthetic using glass/metal and/or other toxic materials. (ii) Steps be taken by the Commissioner of Delhi Police to ensure that advisories are issued by all concerned authorities in terms of the above direction so as to prevent any un-toward incidents in Delhi. (iii) Government of NCT of Delhi is directed to expedite the process of inviting suggestions/objections from the general public and thereafter to issue the notification following the procedure laid down under the Environment (Protection) Act, 1986 read with the Environment (Protection) Rules, 1986, to tackle the adverse effects of razor sharp kite flying threads on humans as well as other living creatures as expeditiously as possible.